Here are a few collections of my photos from the July 2008 trip to Hawaii with the gang. Clicking on a button will open a new window with the show. 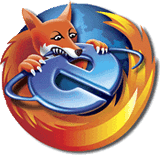 This will work with Firefox and should work around most of Windows Exploder's bugs. I don't know how it works with Safari.